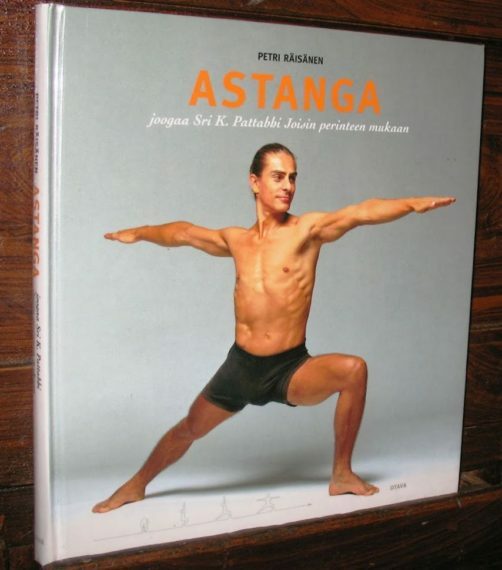 Petri Räisänen (born August 13, 1967) is an internationally known and respected Ashtanga Yoga teacher. Petri started practicing Ashtanga Yoga in 1988 as a devoted student of his Guru, Sri K. Pattabhi Jois, and was authorized to teach Ashtanga Yoga in 2001 by Guruji. Petri is careful to pass on his Guru's exact teachings. Petri is co-owner and director of Ashtanga Yoga Helsinki, one of the world's largest Ashtanga Yoga Shalas which he co-founded in 1997. Sri K Pattabhi Jois blessed the school to teach the traditional Astanga Yoga method. 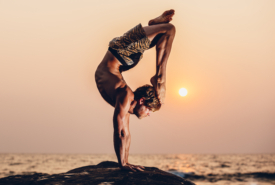 In his yogic path Petri has studied with many respected Astanga Yoga teachers such as Derek Ireland, Radha Warrel, Gwendoline Hunt, Lino Miele and Eddie Stern, in addition to R. Sharath Jois and Sri K. Pattabhi Jois. Petri focuses on integrating healing and therapy with yoga, meeting student's individual needs and guiding their progress. Petri's yoga pose adjustments are gentle, effective, therapeutic and, according to some, almost magical. They originate (besides his own practice and teaching) from his past work as a traditional Finnish folk healer and naturopath. His friendly, relaxed behaviour and intuitive perception give an open, energetic and meditative atmosphere to his classes. In 2004, Petri wrote "Astanga - The Yoga Tradition of Sri K. Pattabhi Jois" in collaboration with Sri K. Pattabhi Jois and his grandson, R. Sharath Jois. The book introduces the primary series (1st series) Astanga Yoga method and philosophy, as well as its potential as a physical, mental, intellectual and spiritual practice. His intermediate series (2nd series) book "Nadi Sodhana" was released in 2008 and is written mostly from the interviews with Sri K. Pattabhi Jois from 2006-2007 in Mysore, India. Both books are written as part of Petri's ongoing pilgrimage into Astanga yoga's inner word, with a great sense of respect towards his Guru and the Yoga Tradition. Petri has studied raw/live food and worked in a raw food restuarant, and has attended Reiki healing workshops and passed the first two levels. From 1989-1991, Petri studied to become a Naturopath, leading him to open his own Health Center "Afrodite" in Kaivopuisto, Helsinki. Petri has gone on to study various healing methods such as Jäsenkorjaus (Finnish Bone Setting), Kahuna techniques of Shamanic healing (Hawaii), and Swedish Massage. He uses his Folk Healing techniques in his asana adjustments and teaching. 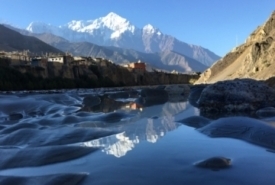 He continues to study Indian Philosophy and Sanskrit with different teachers like Dr. M.A. Jayashree, Prof. M.A. Narasimhan, Vyaas Houston and Shankaranarayana Jois. 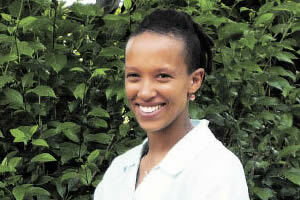 Wambui moved to Helsinki in 2009 and has been assisting Petri since then, both in Finland and internationally. She started teaching at the Ashtanga Yoga School of Helsinki in 2011 and is the editor for Petri's primary series book. 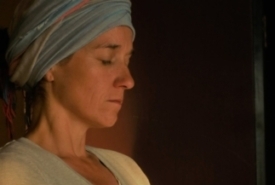 She continues to assist Petri, both in Finland and internationally, following closely in the direct method of Sri K. Pattabhi Jois.